Soldiers from the Lexington-based Company B, 1st Battalion, 116th Infantry Regiment, 116th Brigade Combat Team train on military operations in urban terrain Sept. 20, 2011 at the Fort Pickett MOUT village. 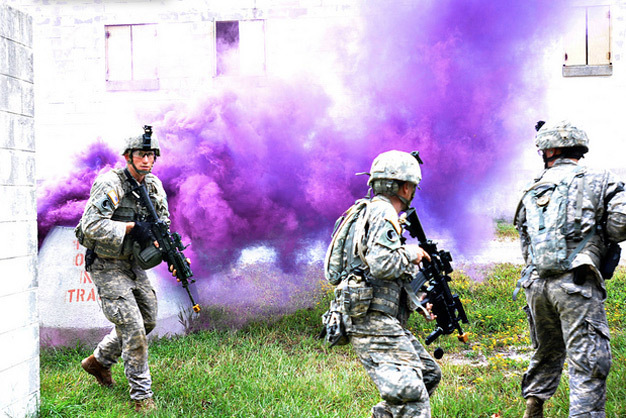 The soldiers exercised their infantry specific warrior skills during their two week annual training period. US Army photo by Staff Sgt. Andrew H. Owen, Virginia Guard Public Affairs.